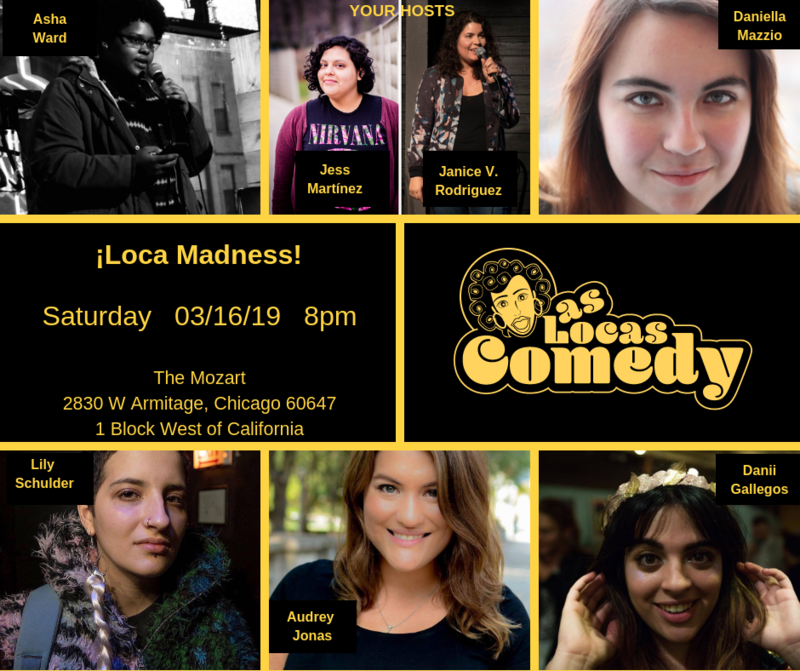 There’s no Las Locas Comedy without our LOCAS! Please continue to support our comics as they perform across the USA. We’ll see you at the next show! Thursday 09/28/17: Las Locas Comedy Show !Que Chistosas! Friday 09/29/17: Las Locas Comedy in St. Augustine! Saturday 09/30/17: Las Locas Comedy & FST Present: Crash! Hosted by Will Luera. Featuring Soli Santos, Natasha Samreny, Janice V. Rodriguez & Amy Colon. Sunday 10/01/17: Las Locas Comedy in Orlando! Hosted by Jeff Rembert & Natasha Samreny. Featuring Soli Santos, Shereen Kassam, Heather Shaw & Janice V. Rodriguez.